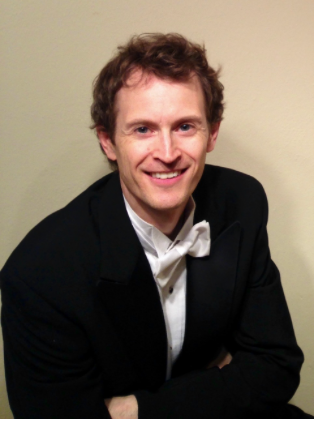 Acting Contra/Utility Bassoonist, Nathaniel (Nate) Hale is a performing member of the Chicago Philharmonic/Joffrey Ballet Orchestra and Principal Bassoonist of the Kenosha (Wisconsin) Symphony. He has been freelancing on bassoon and contrabassoon in the Chicago area since 2009, where he has performed extensively with the Milwaukee Symphony Orchestra, the Lyric Opera Orchestra, and the Chicago Symphony Orchestra. Prior to living in the Chicago area, he was a Fellow in the New World Symphony Orchestra in Miami Beach, Florida, and then a bassoonist with Scandinavian orchestras, namely the Bergen Philharmonic, the Norrlands Opera, the Malmö Opera, the Norrköping Symphony, and the Gothenburg Symphony orchestras. Nate was drawn to the joy of performing orchestral music in high school through the Wisconsin Youth Symphony Orchestra. Following in the footsteps of our nation’s first hero, Nathan Hale, Nate was later accepted to Yale University for undergraduate studies. He was drawn to the University of Wisconsin-Madison, however, after receiving a full-tuition music scholarship, where he studied with Professor Richard Lottridge, former Contrabassoonist of the Chicago Symphony. At the UW, Nate won the Concerto Competition in 1995, and that following summer he also won the Aspen Music Festival’s Woodwind Concerto Competition. Following graduation from the UW, he pursued a Master of Music degree at The Juilliard School under the instruction of bassoonist Frank Morelli, as well as summer engagements with the Tanglewood Music Center, the European Academy of Music at Aix-En-Provence (France), The Verbier Festival (Switzerland), and The Netherlands Youth Orchestra. Alongside his work in Chicago, Nate has also been studying theology and counseling. In his free time he especially enjoys being in nature, birdwatching, and serving the spiritual and psychological needs of others.